The Unified Tertiary Matriculation Examination (UTME) did not start at the stipulated time at the University of Maiduguri (UNIMAID) on Saturday, following the suicide bomb attacks that occurred at the institution earlier. There were six Computer-Based Test centres in the university, but following the incident, the centres recorded low turnout. Three suicide bombers, had early Saturday morning detonated some explosives at the gate of the University killing a security guard and injuring one soldier. The development led to heavy deployment of military personnel in the campus, causing most of the candidates to stay away. Meanwhile, no fewer than 57,000 candidates took the entry level examination in 642 centres across the country on Saturday. Out of the 642 centres, minor hitches were recorded in Bauchi and Kano as well as Ekpoma in Edo State and Uturu in Abia State. 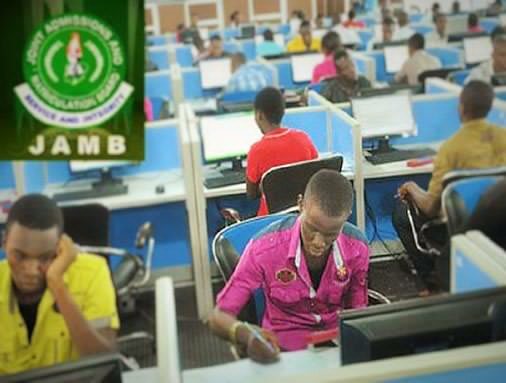 Registrar and Chief Executive of the Joint Admission and Matriculations Board(JAMB), Prof. Is-haq Oloyede confirmed it while monitoring the exercise at Digital Bridge Institute in Abuja. He said apart from the few centres where hitches occurred, the first phase of the UTME was largely successful as technology gave the Board a good leverage. However, Independent observed that candidates started arriving at the various CBT centres, where they are scheduled to write the test, as early as 6am. At the Global Risk Training Institute, Anthony Bus Stop and the international office of the West Africa Examination (WAEC) CBT Centre, Agidingbi, Ikeja, the candidates were seen patiently waiting in a queue for the accreditation exercise. Some of the candidates, who spoke to the Independent, in Lagos and Ogun States commended the board for the start of the test, saying that the deployment of ICT still needed to be put in right to ensure appreciable improvement in the conduct of the examination. At some of the centres visited, there was orderliness as candidates took turn to be screened for the accreditation, while others who arrived ahead of time for the second batch observed the exercise from a distance. At the Gateway ICT South West Centre on IBB Boulevard in Abeokuta, the Ogun State capital, candidates, who had written the test, were seen discussing in groups, saying that the process was better than the registration exercise. The story was not different at the National Open University of Nigeria (NOUN) CBT centre as candidates for the second batch were already in the test room writing the examination. Meanwhile, at the WAEC CBT Centre on Agidingbi Road, Ikeja, the examination Supervisor had to put the start-off of the first batch on hold to enable candidates that arrived have the opportunity to go through the accreditation. Though, there was observable high handedness on the part of some JAMB officials, who initially barred newsmen from gaining access within the premises of CBT centre, saying that was restriction order. Report said, Mr.Sunday Aladegbaye, JAMB’s Regional Coordinator, denied access to journalists monitoring the exercise at a CBT on Governor Road, Idando. When contacted, Dr. Fabian Benjamin, JAMB’s Head of Public Relations, expressed disappointment at the conduct of the official, saying that the exercise should be monitored to enable the board have an on the spot account of progresses made. However, some of the candidates, who spoke to the Independent anonymously, expressed displeasure at the hostile nature of some of the CBT centre officials, saying that they were not friendly and sensitive to the challenges candidates face with slow internet access.